The parents of young children are highly vulnerable when their children are perceived to be unwell and, combined with their reasonable wish to avoid medications, are easily mislead by the anecdotal claims of such pseudoscience. As I heard someone remark recently: “the collective noun for ‘anecdote’ is not ‘evidence’.” I wish I’d thought of it! Lactation Matters always welcomes discourse such as this as we seek to develop evidence based practice and we thank the International Chiropractic Pediatric Association for reaching out to us to publish their comments. A systematic review of the scientific literature on adverse events associated with pediatric spinal manipulation found only 10 documented adverse events attributed to pediatric chiropractic in a span of over 100 years of chiropractic practice.8 Our own practice-based research network studies point to the safety of pediatric chiropractic with prevalence of adverse events at less than 1% and risk estimates placed at <1000 adverse events per 1 million children followed under chiropractic care for 1 year.9,10 Dr Chilton should be more concerned about the practice of “off-label” prescribing for infants and children in his profession. The first study to examine the extent of this practice of prescribing medication for children without the safety, efficacy, and quality assurance that is required of medications was performed in the UK. The study found that 70% of children received either an unlicensed or off-label drug prescription, with approximately one-third of drug prescriptions being unlicensed or off-label.10,11 Subsequent studies have confirmed the popularity of this practice in pediatric medicine with documented adverse events that is unmatched in frequency and severity by chiropractic or other alternative forms of pediatric care. The practice paradigm of the 21st century is integrative care that is embraced by lactation professionals, chiropractors, nurses, and other healthcare professionals. It is characterized by mutual respect and shared managementthat emphasizes wellness and healing of the entire person (bio-psycho-socio-spiritual dimensions), drawing upon the best of both conventional and alternative therapies.13 Antiquated attitudes expressed by Dr Chilton have no place in the care of infants and children in the 21st century. Alcantara J, Alcantara JD, Alcantara J. The chiropractic care of infants with colic: a systematic review of the literature. Explore (NY). 2011;7(3):168-74. Wiberg JM, Nordsteen J, Nilsson N. The short-term effect of spinal manipulation in the treatment of infantile colic: a randomized controlled clinical trial with a blinded observer. J Manipulative Physiol Ther. 1999;22(8):517-22. Danielson B, Hwang CP. Treatment of infantile colic with surface active substance (simethicone). Acta Paediatr Scan 1985;74(3):446-50. Crotteau CA, Wright ST, Eglash A. Clinical inquiries. What is the best treatment for infants with colic? J Fam Pract 2006;55(7):634-6. Lucassen PL, Assendelft WJ, Gubbels JW, van Eijk JT, van Geldrop WJ, Neven AK. Effectiveness of treatments for infantile colic: systematic review. BMJ 1998;316(7144):1563-9. Alcantara J, Ohm J, Kunz D. The safety and effectiveness of pediatric chiropractic: a survey of chiropractors and parents in a practice-based research network. Explore (NY). 2009;5(5):290-5. Bell IR, Caspi O, Schwartz GE, et al. Integrative medicine and systemic outcomes research: issues in the emergence of a new model for primary health care. Arch Intern Med 2002;162: 133-40. Dr. Joel Alcantara, I.C.P.A. Research Director, spearheads the profession’s largest and most successful Practiced Based Research Network (PBRN) and continuously oversees numerous projects relevant to evidenced based family chiropractic care. He is instrumental in involving members of the International Chiropractic Pediatric Association in publishing the research so necessary in the profession. His commitment to publishing is establishing recognition and validity to the necessity, safety and effectiveness of chiropractic care for pregnant women and children. 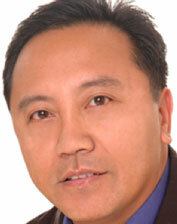 Dr. Alcantara was born in the Philippines and grew up in Calgary, Alberta. Prior to attending Chiropractic College, he was trained in Chemistry-Biochemistry and Cellular, Molecular and Microbial Biology at the University of Calgary. Upon graduating from Palmer College of Chiropractic West in 1995, he was given a full-time faculty appointment at his alma mater in the Research Department. In the two years prior to his position with the I.C.P.A. , he held the rank of Assistant Professor at Life Chiropractic College West. During his tenure at both chiropractic colleges, he has taught an array of subjects from Chiropractic Pediatrics, Physical Diagnosis, Research Methods, Public Health and various chiropractic clinical courses. He has published widely in scientific journals and in the popular chiropractic media and has co-authored several chapters in various chiropractic textbooks. Dr. Alcantara is completing his Master of Public Health degree at San Jose State University with a specialty in Community Health Education. Thank you very much for taking time to compile such a thorough and useful response. As a mother whose baby was prescribe colic medications which did nothing, only to find that Chiropractic treatment worked wonders, I welcome this statement with open arms. As a breastfeeding peer supporter working with mothers and a local campaigner for improved care for breastfeeding newborns, I can imagine that I will quote this article time after time. It is important to note the range of research in this discussion. Prior to the Melbourne Conference a programme was aired by the Australian Broadcasting Commission’s science programme, “Catalyst” . The ABC is Australia’s public broadcasting channel. This presents another perspective on this issue. it is really worth watching and I hope Dr Alcantara took the time to do so. The range of research from both sides of this debate is relevant. Prior to the Melbourne ILCA Conference a programme was aired by the Australian Broadcasting Commission’s science programme, “Catalyst” . The ABC is Australia’s public broadcasting channel. This program is really worth watching and I hope Dr Alcantara watched it before he responded as I suspect Dr Chilton’s remarks were based partly on the research it presented. I am a little disappointed though that Dr Alcantara chose to ‘shoot the messenger’ in his response. Worth the read..important to note is that should a parent seek services of chiropractor for their baby…MAKE sure they have qualifications in pediatrics and do NOT actively manipulate their precious baby..I too have certainly seen improvement in ‘reflux’ with specialist osteopathic and or chiropractic care of the infant. It is a pity Dr Alcantara wasn’t given access to the talk I gave on colic at the ILCA meeting (“From Weep to Sleep”) as I do cite his review article. He might have realised that I agree with much of what he has to say about the uselessness of many treatments for colic, including medications, and the litany of spurious diagnoses attached to the condition. However regarding chiropractic treatment, I know of no hard evidence that colic is musculo-skeletal in origin, in particular no evidence that it is based on the presence (or absence) of dysfunctional articulations or ‘subluxations’1. It is good to barrack for evidence-informed medicine and I commend Dr Alcantera on his Research Network’s efforts to try and bring some rigorous science into his profession. Finding a provable pathological basis would be a good first step. As I pointed out despite a long history of belief that this symptom complex emanates from the gastro-intestinal tract, colic is most likely a neuro-behavioural issue related to the baby’s inability to regulate an overload of internal or external stimulation. Chiropractors want to straighten out the babies, I want to straighten out the parents. 1. Alcantara J, Alcantara JD, Alcantara J. “The chiropractic care of infants with colic: a systematic review of the literature” Explore: the Journal of Science and Healing 2011;7 (3): 168 – 174. My stable of healers includes chiropractors, my family osteopath, sports medicine physicians, my midwife, my colon hydrotherapist, my dentist, a physical therapist and an acupuncturist. My health is my responsibility, and I hire practitioners to be my consultants. Every modality has its value; there is no reason for any one discipline to claim to be the ONE and only. Seems like good people making good comments. For any medical doctor that is truly interested in discovery, not dogma, google the research on spinal adjustments regarding central segmental motor control. then a m.d. would not be saying simple words like musical-skeletal and begin to understand that joints are rich in proprioceptive neurology and that the neurologic density in the cervical spine plays a primary role in that very gastro-intestinal tract you talk about Once that is thought about, then take a look at the emotional components in the cervical spine by reviewing Candace Perts contributions. It will give a new appreciation for the cervical spine, and why Chiropractors have been seeing such good results over the year.